The Summer 2008 issue of Freemasonry Today is available online (no way for non-UGLE members to subscribe anymore, since it replaced MQ as the internal magazine for their members). In his Letter From the Editor, author ("Holy Blood Holy Grail") and editor Michael Baigent makes a strong appeal for everyone to become organ donors. Michael had a strong personal interest in such matters—on April 10th he received a liver transplant, after eight months of illness. Rumors of his deteriorating health had circulated over the winter and spring, and his condition was very grave. According to his letter, he felt better the very day he awakened from the operation. Congratulations and best wishes to Brother Baigent on his recovery. Sign an organ donor card while you're thinking about it. "Spirit Of Grand Old Community Organizations Needs To Be Resurrected"
Pasco County once had a host of benevolent organizations that were responsible for teaching, maintaining rituals, socialization and transferring customs from one generation to another. Some were Masonic in nature and some were purely social. They aimed to build stronger communities by developing responsible men and women. In east Pasco County, these groups became popular in the 1940s and '50s. As time passes, though, it's becoming difficult to find remnants of their existence. Such organizations stand contrary to the common belief that the essence of the black community begins and ends with the black church. There is no doubt about the role the church has played and will play in the future, but it never has been the panacea for every ill in the community. In areas where the church's reach was too short to serve the needs of the people, benevolent organizations were established, especially during the tough Jim Crow years as former bondmen and women transitioned into communities of free people. Community-minded leaders established a network of organizations that did things for the people that the church, schools and even families were not always capable of doing. Most of the organizations offered members burial insurance policies. The organizations helped with the planning of funerals. Job benefits and government assistance were not as available in the '30s and '40s as they are today. The lodges also offered a safe place to socialize. The organizations were support systems. Family training was offered to young couples to prevent divorce and fatherless children. The Masonic organization offered the promise of protection through an international brotherhood. The lodges established auxiliaries to address the needs of youths. Beneath their logos and secretive natures, they all had common characteristics. For instance, they were most visible performing rituals during wakes and funerals for deceased members. These were great opportunities to promote the organizations before targeted public audiences. In Pasco County, the benevolent organizations disappeared as quickly as they evolved. There are a number of theories as to why. Because their decline happened at the same time the community started integrating in the 1960s, that's the major reason given for their demise. Former Pasco High School coach Larry Wright said that as the black community turned over responsibility for educating its children to others, kids did not learn to appreciate their own institutions. Another common reason is that the older fellows did not share the leadership. It is one of the points Vernon Jordan, the former president of the National Urban League, made in his book, "Vernon Can Read": Civil right leaders did not transfer leadership. They died in those leadership positions. The same can be said of the fraternal organizations. I find that unacceptable. Managing an organization requires a high level of skill, but the most important skill is the ability to motivate people and to make changes as they are needed. Hopelessness has never been an option for me. We need to build long-lasting organizations that will nurture strong communities. Some call it putting faith into action. When the community cried out to our forefathers, they answered. The community is crying out now. Will you answer? It is a question that is not peculiar simply to the African American community, but to the entire American society. Governments don't improve society. Individuals do. Neighbors do. I tell Masons everywhere I go that Freemasonry stands in a unique position to take its place once again in changing and improving society. Mr. Asukile's question needs to be answered by us all. "Will you answer?" In between articles exploring such timeless topics like "What It Feels Like To Give Matt Finkelstein His First Lap Dance" Esquire Magazine salts in an article that, albeit briefly, examines the modern fascination with corporeal mortality and the Momento Mori. What used to be a symbol for borderline-sociopathic tough guys with weird design fetishes -- Hells Angels, pirates, Nazis -- has become a trope de luxe, the kind of image you find on Gwyneth Paltrow's scarf when she's taking baby Moses for a stroll. No one has embraced the image of the skull as an accessory like Damien Hirst, the forty-three-year-old British provocateur and darling of the nouveau riche. He set a standard for himself when his tiger shark in formaldehyde, "The Physical Impossibility of Death in the Mind of Someone Living," sold for $8 million in 2004. Now he's ensured his status as the world's most expensive living artist with "For the Love of God," a diamond-encrusted platinum skull, sold in 2007 to an investment conglomerate for $100 million. What's even more incredible than the price tag is that the buyers got their money's worth. "For the Love of God" is a work as powerful in its way as Duchamp's urinal, so simple and so perfect a gesture that it's instantly unforgettable. Hirst ends what Warhol began: Art as commodity cannot go any further. At the glittering, chilly heart of the work's success is a combination of the oldest truths and the latest superficialities. The diamond skull is both an expensive version of the mall rat's skull-covered Vans and the inheritor of the grand tradition of the Christian memento mori. A kind of Hamlet with Yorick's skull, set in the food court. For Hirst, the aura of profundity is just another luxury good. Friend and Brother Stephen Dafoe is seemingly indefatigable. In the last year he has published Nobly Born: An Illustrated History of the Knights Templar, one of the best introductory works to the history and legends of the medieval Knights Templar, combined with beautiful illustrations and maps. This year, he follows it up with The Compasses and the Cross, a unique book that traces the origins and development of the Masonic Knights Templar, and separates fact from Masonic myth-making. There is literally no other work like it, and Stephen has created a book of tremendous worth to the fraternity and to others who seek to study it. With Comic-Con going on in San Diego this week, it's appropriate to announce Stephen's latest project. It combines his love of the Knights Templar with comic books. He and Edmonton artist Bob Prodor have joined forces to create Outremer: The Saga of the Knights Templar. According to his website, Outremer's pen and ink work is complete, and is in the final stages of coloring. he is predicting a fall 2008 release date for the first of four issues. NY Times: "Report on Shriners Raises Question of Wrongdoing"
The New York Times reported on Friday about an internal committee investigation concerning financial improprieties within the Shrine and its fundraising. The committee found that the chairman of the Shriners Hospitals Board of Trustees, Ralph Semb, sought to dismiss a fund-raising executive who had refused to hire a direct-mail company Mr. Semb and another board member tried to steer him to. The board, however, decided against taking any punitive action against the men, who deny any wrongdoing. The report also said that a longtime financial executive of the hospitals, which control an $8 billion endowment, made accusations that there were various financial improprieties in the organization, including the failure of Shrine leaders to report certain benefits they received as income and knowingly filing incorrect tax forms for the hospitals. But the investigative committee, made up of three former senior elected Shrine officials, was disbanded by the board in June before it was able to finish its inquiry into those accusations, according to John C. Nobles, a member of the committee. The committee found that Mr. Semb had unilaterally tried to fire the fund-raising executive, Edgar McGonigal, after he declined to hire a direct-mail company that appeared to have ties to a company owned by the son of a close friend of Mr. Bracewell. Most of the committee’s report relates to the dismissal and rehiring of Mr. McGonigal, who said he did not hire the direct-mail company favored by Mr. Semb and Mr. Bracewell because the company appeared to have ties with Vantage Financial Services, which had performed poorly for the Shriners in the past. The Shriners employed Vantage to handle fund-raising for the hospitals from 1999 through 2003. Out of $46.2 million raised by Vantage, the Shrine received only $2.5 million, according to the report. Early this year, the committee was asked to expand its investigation to look into the accusations by a longtime financial executive, Willard Fawcett, who during an exit interview said there had been wide financial improprieties, including inaccurate information on a 2006 tax form, known as a 990. The three panel members, Mahlon W. Hessey, Mr. Nobles and Robert N. Turnipseed, wrote in their report that these accusations required a “comprehensive continuing investigation.” But the boards of the Shrine and its hospitals, which share members, voted to disband the panel before it had finished its investigation of Mr. Fawcett’s accusations. When Mr. Hessey tried to present the committee’s findings at the annual Shrine meeting in St. Louis in June, he was booed and heckled off the stage. He warned that Shriners should expect to hear from the attorney general’s office or the Internal Revenue Service, said C. Douglas Mayes, a Shriner who attended the meeting. Sadly, it implies what can happen when fraternalism takes precedence over right and wrong. It seems the committee was disbanded before it could complete its work. By shutting down the well-respected Nobles who were appointed to look into the matter, it certainly smells like an attempted whitewash. As the Grand Lodge of West Virginia has found out recently, the Internet has made it virtually impossible to keep such dirty linen hidden from sight. Trying to shut down the investigative committee, and worse, heckling them for doing the job they were appointed to do, endangers the reputation of the Shrine Hospitals. The actions of a few (allegedly) selfish Nobles erodes confidence in the charitable side of the Shrine, and by appearing in the NY Times, it gets widespread coverage. As a side note, when Ralph Semb served as Imperial Potentate, he pushed for removing or relaxing Masonic membership as a requirement for Shrine membership. The Grand Lodge of Pennsylvania's program to provide telephone long distance calling cards for US troops got some good coverage in the Wilkes-Barre paper today. The program, called "Change For The Troops," began in January and, as of June 30, has raised more than $87,000, purchasing more than 1,500 phone cards, in increments of 300 minutes. This is a true grass roots effort. Lodge funds are NOT to be used for this. The source of the funding is intentional; it is to be the pocket change you otherwise would have carried out of lodge and taken home with you. This is deliberate. Each donation is to be given directly from the hands of the individual brothers at our lodges to our troops in harm's way in the combat theaters of Afghanistan and Iraq. Cards will only be sent to our men and women in those two areas of operation - nowhere else. It is to be a conscious reminder of the price our men and women in the armed forces pay every day. 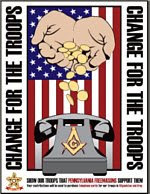 Each month, no matter what the amount of the collected funds may be, the Lodge Secretary is to send a check, issued by the lodge for that exact amount payable to the "Grand Lodge of Pennsylvania Change for our Troops Fund," to the Office of the R.W. Grand Treasurer in Philadelphia. By sending the contributions in each month, this will help to provide a constant and even flow of funding. The funds collected are to be part of the minutes to be read at the next Stated Meeting of the lodge. Upon receipt in Philadelphia, the donations will be deposited into that fund reserved for that purpose. Records will be kept so each lodge has the full assurance that an individual accounting of their contributions occurs. These records will be updated upon receipt of the contributions, with acknowledgement being sent from the Office of the R.W. Grand Treasurer to the Lodge Secretary via e-mail. Once a month, calling cards will be purchased in increments of 300 minutes; this amount has been chosen with consideration for the time it often takes for calls to be placed from our military men and women in these remote areas. The volume of cards purchased will be a direct function of the funds collected and sent to the Grand Treasurer. The cards will be placed in individual sleeves, (shown above) and transported into both Iraq and Afghanistan. Once on site, the cards will methodically be distributed to the servicemen and servicewomen of all branches of service. Brother Peter Renzland who keeps very careful track of these stories, is reporting, on Wednesday July 16 , 2008, the Grand Lodge of Canada in the Province of Ontario has voted to recognize the Most Worshipful Prince Hall Grand Lodge, Free and Accepted Masons, Province of Ontario and Jurisdiction, at their 153rd Annual Communication in Toronto. That leaves the Grand Lodge of Newfoundland & Labrador as the last Canadian GL that does not recognize their PHA counterpart. Unfortunately, eleven U.S. mainstream GLs remain that currently do not recognize Prince Hall brethren: Alabama, Arkansas, Florida, Georgia, Kentucky, Louisiana, Mississippi, North Carolina, South Carolina, Tennessee, and West Virginia. California brother Mark Sandstrom reports that tonight's program "Ancient Ink" on the History Channel features Brother Zulu of www.zulutattoo.com and Senior Warden of North Hollywood Lodge #542 in North Hollywood California. Brother Zulu and the brethren of North Hollywood lodge were the subject of a Los Angeles Times article last month. The show airs tonight 7/14 at 9PM ET, Tuesday morning 7/15 at 1AM ET, and again Saturday 7/19 at 5PM. A story in the Boston Herald today reports that somebody within the "secretive" Grand Lodge of Massachusetts is being investigated for funny money business—even though it appears that the "secretive" Masons were the ones who reported the matter to authorities. The local DA's office is investigating the potential embezzlement of about $1.5 million over the last 8 years. But the story is vague enough to leave some question as to just who they are zeroing in upon. It seems investment house UBS is being questioned as well. Neither organization needs this kind of news. The GL of Massachusetts was bilked out of $10 million a few years back by former money-manager, radio-station owner, and former Mason Brad Bleidt. And UBS' stock has plummeted from over $60 a year ago to less than $20 today. A favorite game of annoyance around our house that can send Alice screaming from the room after about three minutes is my deep-rooted desire to play a courtroom judge in a major motion picture. Any time a courtroom drama pops up on Turner Classic Movies or Lifetime (Where All Men Are Pigs™), it is my mission to second guess the lines about to come out of the mouths of movie judges. I know them all. "One more outburst like that and I'll clear this courtroom!" "Counsellor, you are trying the Court's patience." "I will allow it this time, but I caution you Counsellor." "I'll see both attorneys in my chambers!" And my favorite, usually after a witness blurts out "I'll kill you, you little rat!" "The jury is admonished to ignore this previous testimony." I'm really good at it. Which is what qualifies me to speak to real-life legal cases, even though I have as much legal background as Percy Kilbride. So it seems that our Prince Hall brethren are no more immune to hauling internal Masonic episodes into court as some mainstream brothers, as this story reveals. Apparently, brother Norwood Diggs of Norfolk, Virginia was suspended by Gidwood W. Sutton Jr., Grand High Priest, King Cyrus Grand Chapter Holy Royal Arch Masons of Virginia and Jurisdiction. Diggs, who was secretary of the Chapter, is suing, claiming Sutton doesn't have the right to suspend him. And based upon my carefully considered movie-judge opinion, I suspect this case will fall under the heading of "Take your little spat the hell out of my courtroom." Brother Russ Spice in Detroit wrote, noting that I hadn't blogged in a week. 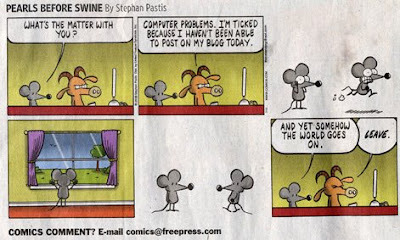 Of course, his flattering claims of addiction to this site were tempered with the above cartoon from the Sunday funnies. New developments on the personal front concerning our business. Hopefully good ones. Can't talk about it. But I really want to. Alice had major dental work over a couple of days. We had to first handle crumbling chimneys and a hail damaged roof last summer, so a crew of painters has at last transformed our formerly white house to a far more pleasing color. And I backed the Dummkopfwägon into one of their cars. And I walked out of Wal-Mart with eight prescriptions on Wednesday. Eight. So, this is what being in my 50s will be like, eh? Can watching the Weather Channel and obsessing on what time the mail arrives be far behind? I went to Broad Ripple Lodge's July meeting on Thursday, the first stated meeting I've been to since something like February. In that short time there are new faces on the sidelines, and I continue to be so proud of that lodge and her officers that i could just bust. There are young and old faces, including two older PMs who have had a longstanding feud with each other ever since I've known them. WM Will Saylor and his officers have worked some kind of magic over the place, because the two of them sat side by side quietly chatting and joking all evening. I even took up my pipe again. Looking forward to hitting the road next week. I'll be sharing the stage in Alexandria, Virginia next Saturday July 19th with W:.B:. 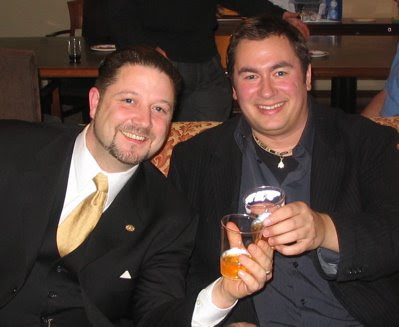 S. Brent Morris (seen with me here at Masonic Weekn in 2007) and W:.B:. W. Kirk MacNulty at the Scottish Rite Center for the Grand Lodge of Virginia's 2nd Masonic Education Seminar. I'm filling in for W;.B:.Mark Tabbert (who WILL be at the 3rd seminar in Roanoke on August 23rd). From Alexandria, we head south to Georgia. My father, who recently turned 90, has had his own share of health issues (like father, like son—whatta year THIS has been). Two weeks ago, he fell and cracked his hip—one of those injuries that in times past had the same sort of prescription horses had: send the vet in with a shotgun. But through the combination of medical science, his own stubbornness, and a trip to the hardware store, docs drove three screws into his hip and managed to repair it with remarkably little pain to him. So, we'll be headed for the suburbs of Savannah to spend a few days with him. If there are any brethren in the area that know of any Masonic activity going on in the area from the 21st through perhaps the 23rd, please contact me. If nothing else, I want to spin by Solomon's Lodge No. 1 in Savannah. "Organized as a Masonic Lodge, February 21, 1734. Its first worshipful Master was General James Edward Oglethorpe, English Soldier, Statesman, Humanitarian, and founder of Georgia, who raised the flag of England at Savannah on February 12, 1733. 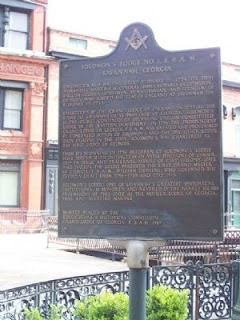 Chartered by the Grand Lodge of England in 1735 as "the Lodge at Savannah in ye province of Georgia," Solomon's is the oldest continuously operating English constituted Lodge in the Western Hemisphere. In 1786 the Independent Grand Lodge of Georgia, F. & A.M., was created and proclaimed by concerted action of Solomon's and the one other Lodge then existing in the state, Solomon's was chartered as the first Lodge of Georgia. From its beginning in 1734 brethren of Solomon's Lodge have served with distinction in vital positions of leadership in public and fraternal affairs of city, colony, state and nation. The Lodge produced the first Grand Master of Georgia, F. & A.M., William Stephens, who governed the Georgia craft from 1786-1788 and 1793-1813." 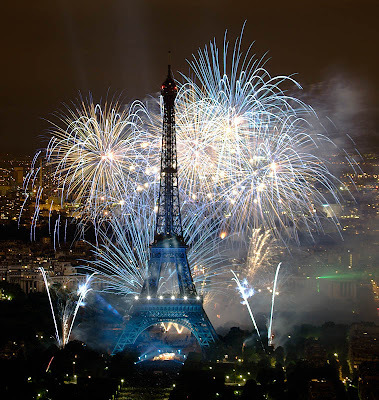 No, I didn't miss the "news" that the Grand Orient of the United States has received a patent from the Grand Orient of France entitling them to use the GOoF's rituals in this country. I figured with all of the self-congratulatory backslapping their online spokespeople were doing on forums and blog sites, it needed no further promotion from me. Best of luck to GOofUS Grand Master John Slifko and his brethren. Perhaps now that they have this document in hand they will go to work proving they can build a better Masonry instead of talking about it. I hope they find the Freemasonry they are seeking. In spite of health challenges, technical issues, and my own inability to stop tinkering with the look of the magazine, The Journal of The Masonic Society's first issue will go to press before the end of the month. I think everyone will agree that it is unlike any other Masonic publication, with an incredible array of talent, and a wide range of topics. 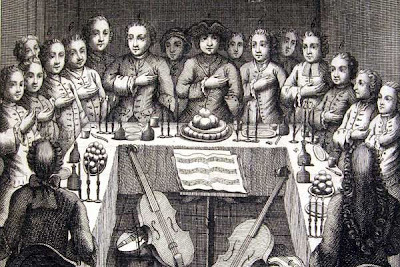 Fortean Times is reporting that the Grand Lodge of England's Freemason Hall Museum will have a exhibition about our fraternity's love affair with fine dining. Stretching from the premiere Grand Lodge's meetings at the Goose and Gridiron pub in 1717, up through formal toasting and festive boards today. The exhibit includes Masonic bottles, glasses, massive silver centerpieces, and even a square and compasses toast rack. The photo above is from a huge feast on August 8, 1925, in Olympia. It was part of a fund-raising event for what is the present Freemasons Hall. 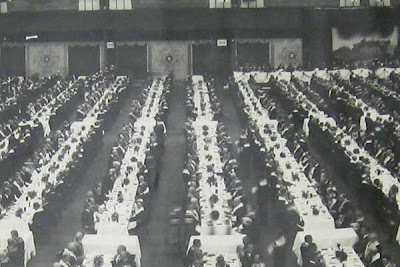 More than 7,000 Masons at 5 miles of tables were served a 5 course meal by 1,250 waitresses - the largest sit-down lunch ever served in England. According to John Hamill's The History of English Masonry, the brethren gobbled down 3,000 pounds of salmon, 600 pairs of best end of lamb, 1,500 chickens, and 250 gallons of ice cream. They raised more than £826,000 at this single event. Just to put that in its proper perspective, that's more than £36 million today (US$72 million). In one day. Cheers. Square Meals: 300 Years of Masonic Dining runs at the Library and Museum of Freemasonry, Freemasons' Hall, Great Queen Street, London WC2B 5AZ from 7 July to 26 September. The museum is open Monday to Friday, 11am to 5pm, and entry is free. For more information call 020 7395 9257 or visit the website. A related article on Masonic dining is in the Summer 2008 issue of Freemasonry Today. Two local groups came together Friday morning to honor one of the Mid-Ohio Valley's most influential Revolutionary War Generals. General Rufus Putnam was honored Friday at the Mound Cemetery in Marietta by the Grand Lodge of Ohio and the American Union Lodge Number 1 for being on of Marietta's Founding Fathers. Putnam's ceremony was done in part by the Masonic Lodge because he made an enormous contribution to Masonry he was the first Grand Master of Masons in Ohio. Officials unveiled a plaque dedicated to Putnam's life as hundreds of folks looked on. 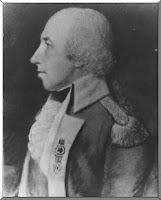 Read more about General Putnam here. 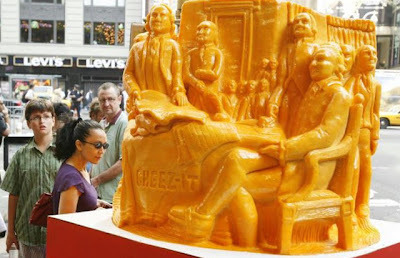 Iowa-based artist Troy Landwehr has created a 3-dimensional representation of the famous John Trumbull painting depicting the signing of the Declaration of Independence, carved entirely out of 1 ton of cheese. The news business never lets me down. So far I've seen this described as a "gouda story," and a "meunster undertaking." The work was sponsored by Cheese It™. Sometimes you just can't make up what's as weird as the stuff real life sends you. I haven't seen enough detail of the sculpture to see if it includes Trumbull's famous in-joke of John Adams stepping on Thomas Jefferson's foot, allegedly because of Jefferson's refusal to change the word inalienable to unalienable. On June 20, 2008, 200 Freemasons and thousands of spectators took part in the rededication of the laying of the cornerstone of the statehouse of South Dakota. Pierre Mayor-elect Laurie Gill and Gov. Mike Rounds were among the dignitaries present, along with numerous state legislators, Supreme Court Officials and other State dignitaries. Local actor Don Boyd presented a reenactment of General William H. Beadle’s original keynote address from 1908. South Dakota's Masons originally laid and consecrated the Statehouse cornerstone on June 25th, 1908. A century later, Del Kroon, Grand Chaplain, gave an opening prayer, and Most Worshipful Brother Denny Robinson, Grand Master, led the grand line in rededicating the cornerstone. Also participating in the ceremony were Virgil Andersen, Deputy Grand Master; Jack Welker, Sr. Grand Warden; Dean Behrens, Jr. Grand Warden; and Leslie Spies PGM, Grand Secretary. They were assisted by Shrine Chanters and Shrine Band members from throughout the state. I've had the honor of meeting and speaking with now Past Grand Master Robinson on several occasions in my travels, and this was an outstanding way to wrap up his year in the Grand East. Congratulations to the brethren of South Dakota. On November 29, 2008, Edmonton, Alberta lodges Highlands-Unity Lodge #168, Jasper Lodge #14, Fiat Lux Lodge of Research #1980 and West Edmonton Lodge #101 will hold their annual feast and guest speaker presentation. This year's speaker will be W. Bro. Adam Kendall, the Curator, Manager, Historian and Manager of Collections at the Henry Wilson Coil Library and Museum of Freemasonry at the Grand Lodge of F. & A.M. of California in San Francisco. According to friend and brother WBro. R. J. Hayes, PM of Highlands-Unity lodge, there will be a tyled meeting/talk in the afternoon and an open-to-the-public dinner/talk in the evening. Spouses, friends, prospective Masons are welcome to dinner. Further details and ticket availability will follow - although the tickets for the dinner (including wine) will be priced at $60.00 per person, $110.00 per couple. Adam will be the fourth annual international guest speaker in this series. Previous speakers have been Fred Milliken from Texas in 2005, Kent Henderson from Victoria, Australia in 2007, and a certain Dummy in 2006. This event should prove to be mutually enjoyable for all. Adam has a wide range of interests, from the deeply esoteric to the boundlessly entertaining and trivially odd - it goes with the territory of being in the museum business. And he'll find the brethren in Edmonton well-informed, enthusiastic, and great fun. All in all, a terrific way to spend an autumn weekend. Tip: Adam, bone up on hockey stats. If you have the day off, enjoy this time with your family and friends. And please take a moment to remember those who DON'T have the day off, who are serving our nation on the other side of the world in places where the fireworks are aimed right at them. Especially remember our Masonic brethren who are in the path of others who intend them harm. Every day they sacrifice more than we can imagine. May the Grand Architect of the Universe bring a speedy end to their mission and return them home to those who miss them every day. 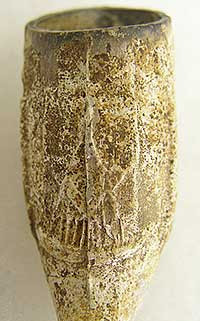 G. Washington's Masonic Pipe Found? The Baltimore Sun is reporting today on a 7 year long archeological dig at the site of George Washington's boyhood home, Ferry Farm, on the Rappahannock River near Fredericksburg. According to the story, evidence suggests that Brother Washington was not born and raised in a humble log cabin as is sometimes presented in fanciful 18th century illustrations, but in a fairly comfortable 2-story house, with 8 rooms. Pretty posh for the period and area, apparently. The find is important, because the exact site of Washington's childhood home was unconfirmed until this month. The stone foundation has been unearthed, which included evidence of a known fire in the home on Christmas Eve in 1740. Thousands of artifacts have been discovered, helping researchers to get a better physical and economic picture of young George's upbringing. No hatchets have been found, for you Parson Weems fans out there. A few hoe blades, but no cherry tree felling equipment. Among the most intriguing items recovered was a pipe bowl, decorated with Masonic symbols on four sides. Washington is known to have joined a Masonic Lodge in Fredericksburg in 1753 while living at Ferry Farm, when he was 21. "One can't say this is George Washington's pipe, but we can certainly wonder about that," said David Muraca, director of archaeology at the George Washington Foundation, which sponsored the excavations with support from the National Geographic Society. The Foundation plans eventually to recreate the Washington home on the site. The National Geographic Channel will air a documentary about the project, “The Real George Washington,” in November. The July/August issue of The Scottish Rite Journal arrived today, and it included an offbeat column by Brother Jim Tresner. His regular part of the SRJournal is usually reserved for book reviews. 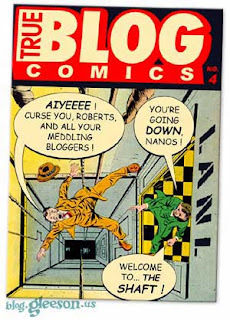 But this issue he takes a look at the wide world of Masonic blog sites. 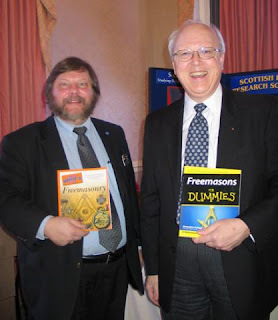 -Ed King's Masonic Musings From ME! The Sanctum Sanctorum forum and website gets a worthwhile mention, as well. 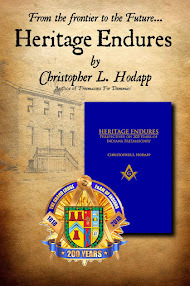 Brother Chris Hodapp is also well known to the readers of the Journal, as the author of Freemasons for Dummies (which is also the title of the site) as well as other important books. 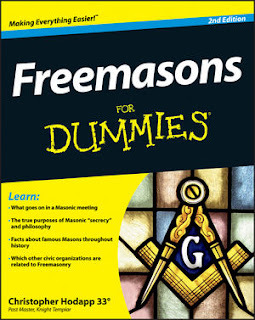 His blog, www.freemasonsfordummies.blogspot.com, is thought provoking and is often the first place on the web where new ideas and matters of interest are posted. Many thanks for the kind words, Brother Jim. There's no shortage of Masonic blogs on the web, as the growing list on the lower right of this page will attest, and checking in and keeping up with everyone's is getting to be a daunting, time-consuming task anymore. Two notable, influential mentions that didn't make it into Jim's article (it's a short space and an exhaustive topic) are The Burning Taper, and the late Theron Dunn's Beacon of Masonic Light. But there are dozens more, with brethren sharing ideas and experiences from literally all around the world. Also in the July/August Scottish Rite Journal is an interesting article by brother Michael Halleran on the use of shibboleths as passwords in time of war, although Michael left out the WWII Pacific war standard, "Lucky Strike." The incorrect pronunciation of which emanating from an island cave might have meant a toasty finish at the business end of a flame-thrower. Michael and co-author Martin Faulks have contributed what promises to be the first of a series of stories for the premiere issue of The Journal Of The Masonic Society. Michael also contributes the regular series Brother Brother's Journal to the SRJ, which is illustrated by Canadian Brother Ted "Bugsport" Bastien.